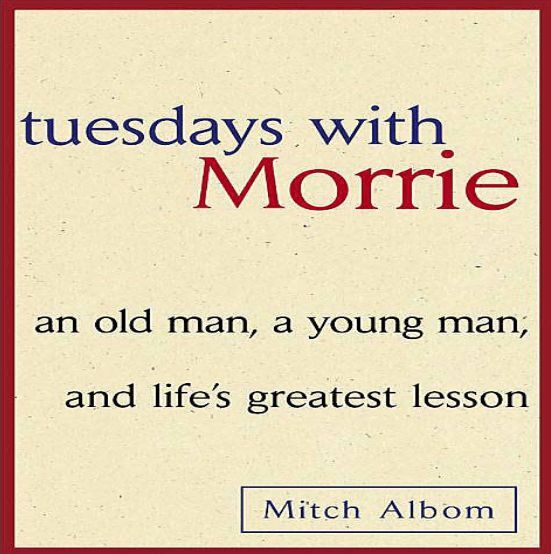 If there’s one book that changed my life, it was Mitch Albom’s “Tuesdays with Morrie”. As far as I remember, it was the first book that reshifted my perspective on living a meaningful life — it’s not getting rich, being famous, and hoarding material possessions. Our society has conditioned us to follow certain standards of what is a happy and successful life. Society wants us to earn more. Society tempts us to buy more stuff. Society drives us to become famous. Society keeps us inside the box — following the same old rules. But we need money. We need shelter. We need certain things in life in order to survive. Absolutely yes. What I’m trying to say is that having more money and material possessions and being famous don’t guarantee a meaningful life. As Morrie Schwartz admonished about two decades ago. …“Be compassionate,” Morrie whispered. And take responsibility for each other. If we only learned those lessons, this world would be so much better a place. …“It’s only horrible if you see it that way,” Morrie said. “It’s horrible to watch my body slowly wilt away to nothing. But it’s also wonderful because of all the time I get to say good-bye.” He smiled. “Not everyone is so lucky.” I studied him in his chair, unable to stand, to wash, to pull on his pants. Lucky? Did he really say lucky? You know what really gives you satisfaction?” What? “Offering others what you have to give.” You sound like a Boy Scout. “I don’t mean money, Mitch. I mean your time. Your concern. Your storytelling. It’s not so hard. There’s a senior center that opened near here. Dozens of elderly people come there every day. If you’re a young man or young woman and you have a skill, you are asked to come and teach it. Say you know computers. You come there and teach them computers. You are very welcome there. And they are very grateful. This is how you start to get respect, by offering something that you have. Mitch Albom did a great job documenting the wisdom of his mentor, thank you sir. Here are some of the most important lessons that struck me. 1. We can’t be happy if we only focus on gaining material possessions. Don’t depend your happiness on new gadgets or appliances or clothes or furniture. It’s a trap. Instead do something that gives you purpose and meaning. Build meaningful relationships. Help people in need. Do something for the betterment of the planet (Yes it’s challenging. I’m practicing it). 2. Love is the only rational act. The book rewired my thoughts about finding true love and getting married. Back then, I viewed serious relationships as hindrance to achieving my personal ambitions. Of course it’s not. Falling in love and being loved is the best thing that can happen to every human being. What could go wrong if all people learn to love unconditionally? 3. Change the way you see things. If you’re in Morrie’s position, what would you do? Most people may get depressed and consumed with self-pity. I know it’s hard. But the truth is, we have a choice to see things differently. Dying may be horrible, but for Morrie, it’s wonderful (see the excerpts above). 5. Always do great work. Hundreds of people came over to visit Morrie Schwartz. And they all said, “I’ve never had another teacher like you.” Those were his students. Those were the people he touched. Obviously, he wasn’t your typical college professor. He empowered his students to become better people. That’s great work. 6. We’re motivated to live well (every day) once we accept that we may die anytime. I first heard this philosophy from Steve Jobs. Yes he was right. And now from Morrie Schwartz. I realize that most of us lack self-awareness. We spend most of our days on meaningless things or activities we hate. We’ve forgotten that we may die anytime. Try this: As soon as you wake up, ask yourself, “What if I die today?” Thinking that any day could be your last day changes the way you view life.